2-4-16 – I’ve never had a better excuse for publishing my monthly update several days late. I’m writing to you from heaven. 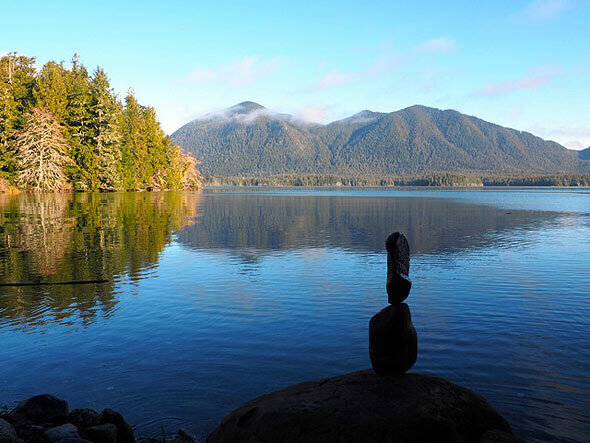 The small coastal town of Comox, Vancouver Island, British Columbia has been my home for the past five weeks, and I’ve been busy: fishing, hiking, skiing, cooking, reading and at all times marveling at the blatant beauty of this magical portion of the Pacific Northwest. Oh, and also I became hooked on the television series “Homeland” – the house Karen and I rented has this newfangled thing called Netflix – but that’s unrelated to the matter at hand. Except I do wish Carrie would stay on her damn meds. 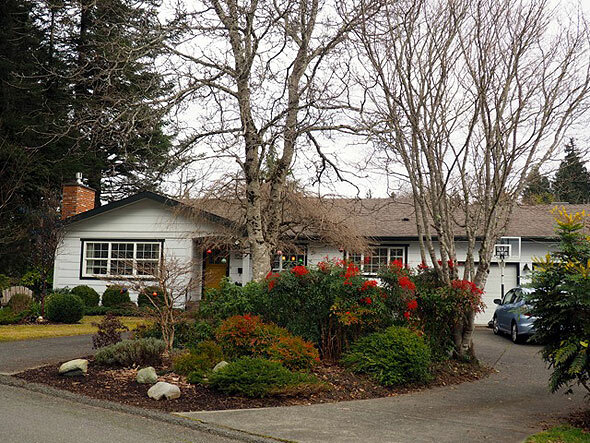 All I’d like to accomplish today is publish photos of residential landscaping around the area, and see if in captions I can provide some insight into the landscaping design principles I see in them. Although by the end I think it will simply denigrate into a buncha pretty pictures. To heck with human efforts at landscaping. Nature does it so much better. 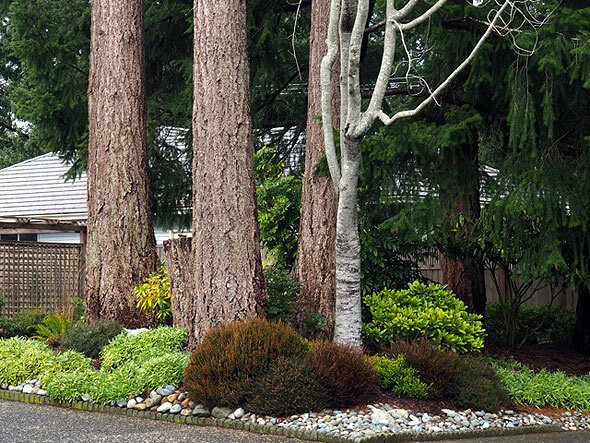 The reason why landscaping in the PNW is more refined, complete, as compared to much of the U.S. and Canada is NOT that the plant pallet is large, and it’s so easy to get things to grow. I think there’s more to it than that. 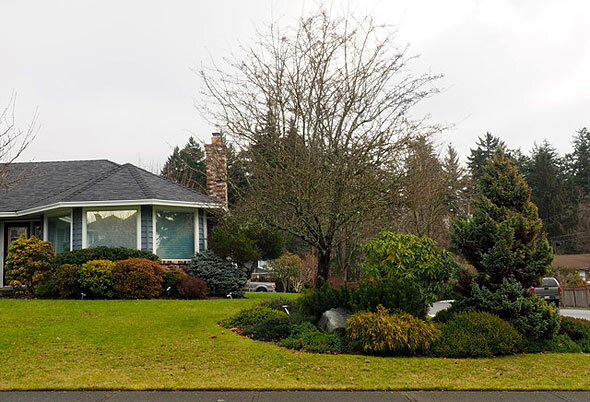 The attention to landscaping and the use of trees and shrubs is reflective of the look and abundance of plants in the natural wilderness nearby. 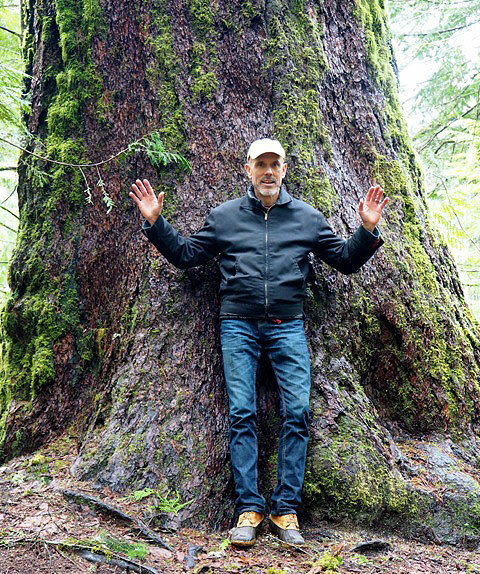 Sure, it’s gussied up, and non-native tree and shrub cultivars are in play, but in the PNW one can’t walk to the mailbox without the mind absorbing how prolific are the plant varieties growing naturally around you. The best analogy I can come up with is that you rarely see junker cars in Detroit. Autos are important to the people of Detroit. Well, plants are important to the people of the PNW. Artful touches are everywhere in the residential landscapes out here. When I hike the nearby coastline, the natural artistic touches – driftwood on the shoreline, incredible boulder formations, the sculptural qualities of the plants – are everywhere. The landscaping hearkens to these factors and inspires the artist within property owners to a higher degree than say, someone living in the Midwestern U.S. 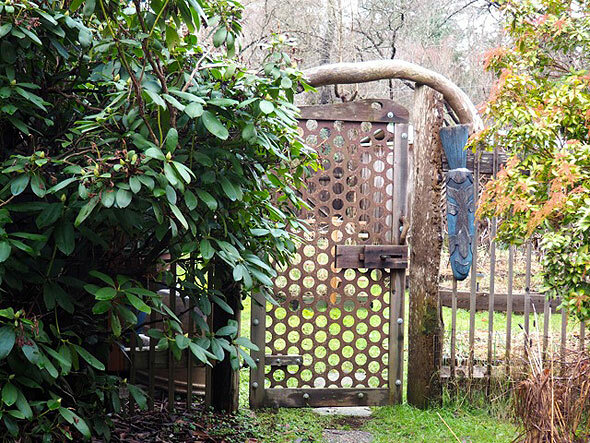 This gate is on the property we’re renting! These photos are not from any kind of high-rent district; these are middle-class homes. 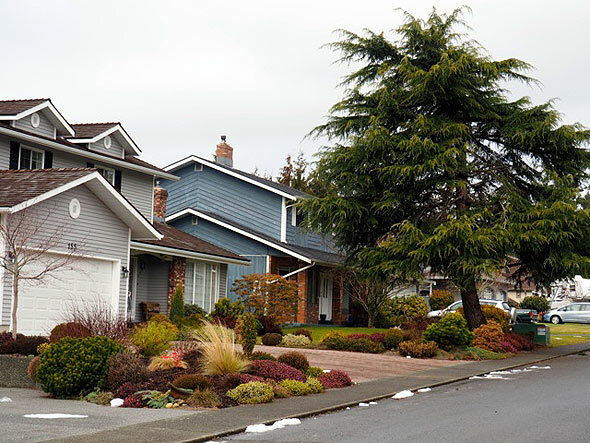 So this kind of look from the street would be consider the median, or average landscaping level. What an average! Note also the low lawn ratio. Even in larger properties, it’s fifty-percent or less. In Minnesota, and across the Midwest, a stand of three evergreens would rarely be planted with such a lush and lovely shrub and perennial floorcovering. Up here, you never see bare soil or prairie in the wilderness areas, hence, a reflection of that fact in the landscaping. Of course, ample natural rainfall makes this style of landscaping easier. And keep in mind, it’s JANUARY. 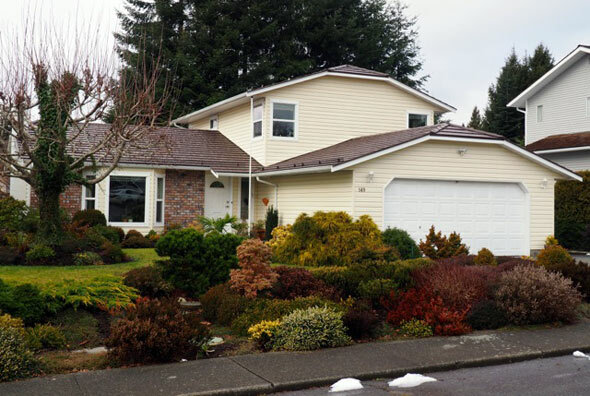 This is about as mundane and lacking in color as the landscaping on Vancouver Island (USDA Zone 8) gets. What’s at play here? Same old, same old: curving lines. 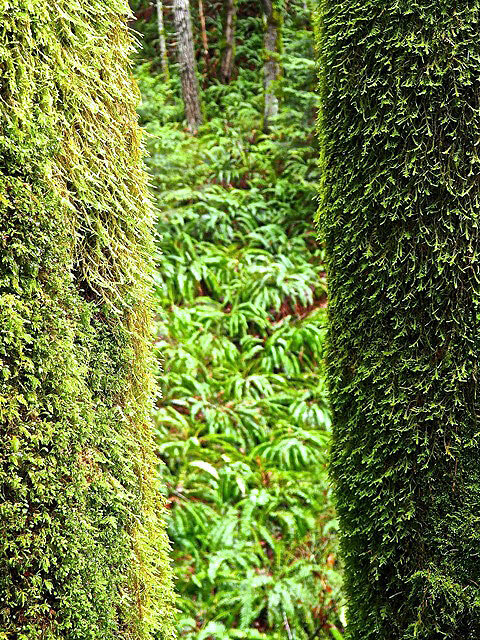 Ample use of evergreens. Contrast in foliage color. Contrast in foliage size and shape. Contrast in plant form. Quit overthinking it! 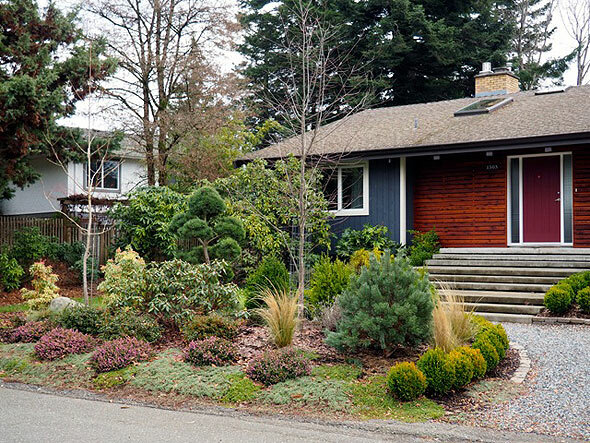 These photos show you most of what you need to know about landscape design. Sadly, Karen and I leave at the end of the week. She’ll return to her home in Winnipeg, Manitoba, I to mine in Minneapolis, Minnesota. Pick your poison. Now I just have to figure out the few remaining steps, the final pieces to place, so that we can move out here permanently. 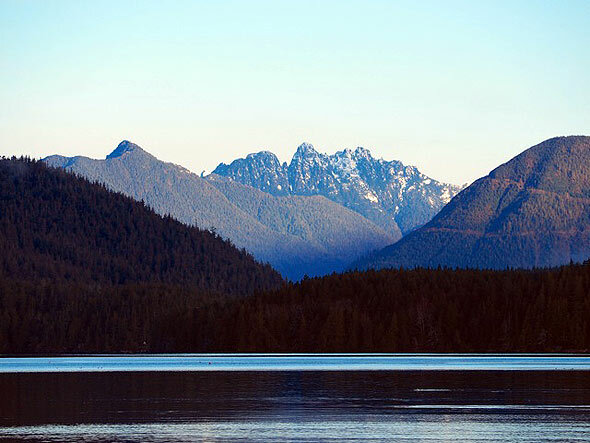 Until then, I’ll keep up my PNW inspiration by gazing at the photos I’ve taken while here. Ferries run like buses around here. 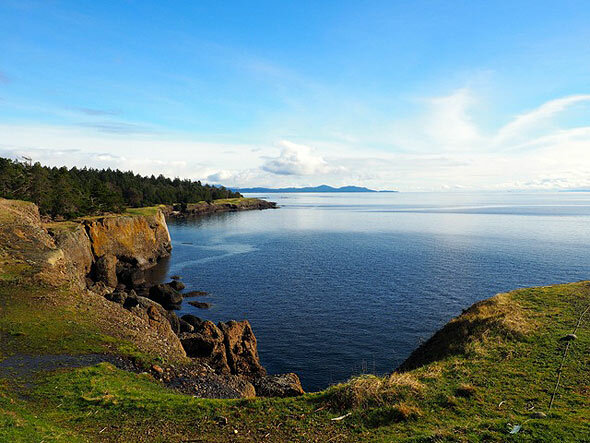 This photo is from a hike on nearby Hornby Island, with mainland British Columbia in the background. Gotta love an island with a mountain range running up its spine. View of the Strait of Georgia from Mt. 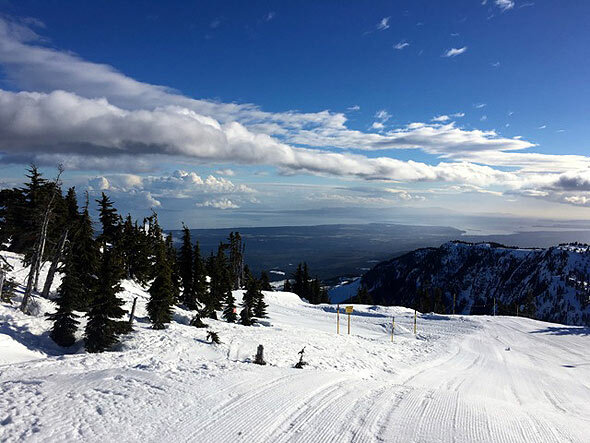 Washington ski resort. Massive cedar trees around here. 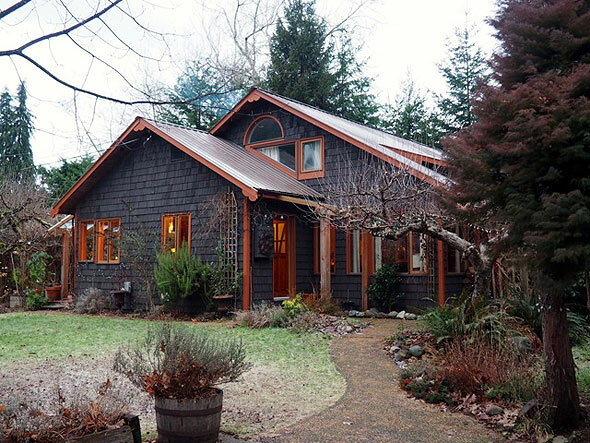 The cute house we rented. Our front yard. 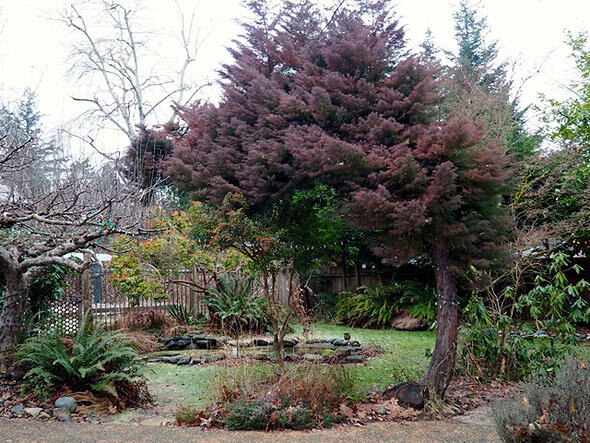 The fabulous tree is Cryptomeria japonica. Got one! 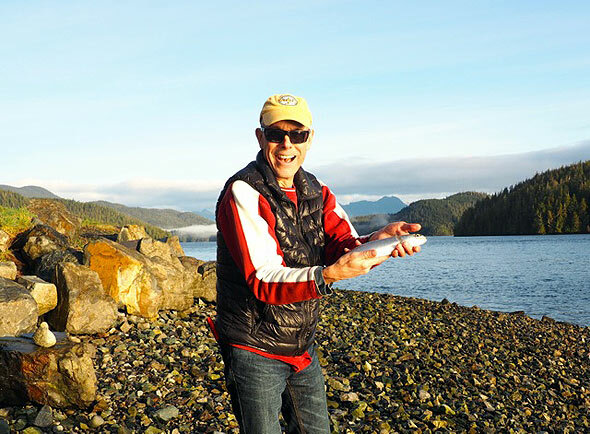 Small trout taken (and released) near Tofino. 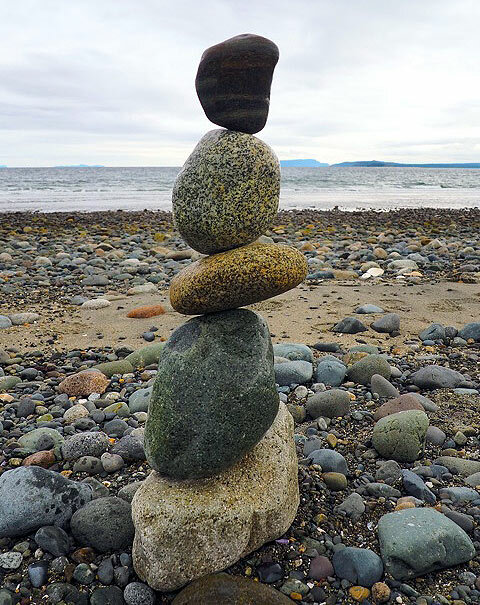 One of my better stone balances – it was windy – Goose Spit, Comox. 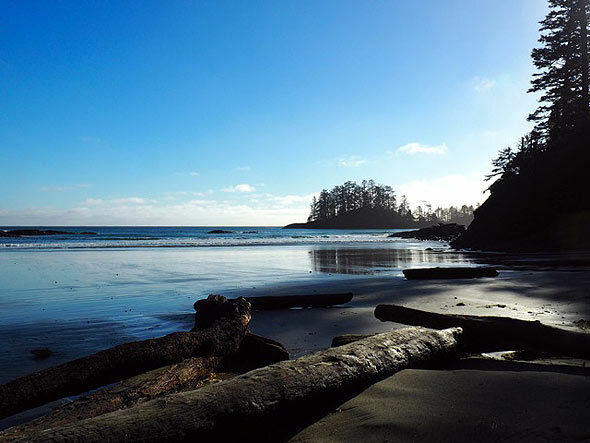 Upper end of Long Beach, west coast of Vancouver Island. To which I shall return.